-In the game,player is likely to meet the icon of "Lion King" (WILD). -(WILD) can replace any and all icons, and pay per lines of bonus will be determined by the betting line bet multiplied by (DOUBLE BONUS). -Other than scattered icons, a winning line only the highest win of compensation at a time. -All the winning combination of the icon can only be done from left to right, in addition to "SCATTER" to complete the combination anywhere. -3 scatter "TREE" or more appear, 15 free games will start with a multiplier 3x. -More free games can be won during the feature infinitely. 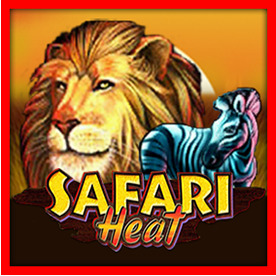 -During game win, player may choose to GAMBLE their winning on gamble game features which may multiplied their winning up to 2 or 4 time their win amount. -Player to guess the next turn of the cards are BLACK or RED, with winning odd multiplied by 2,or gamble on SUIT type with winning odd multiplied by 4.